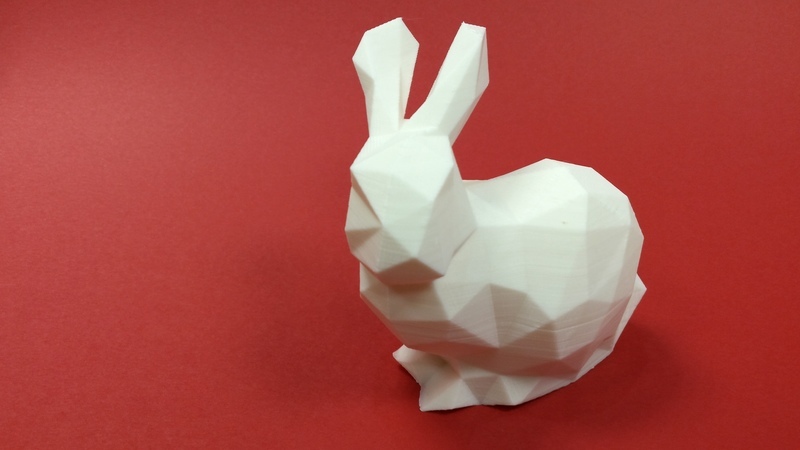 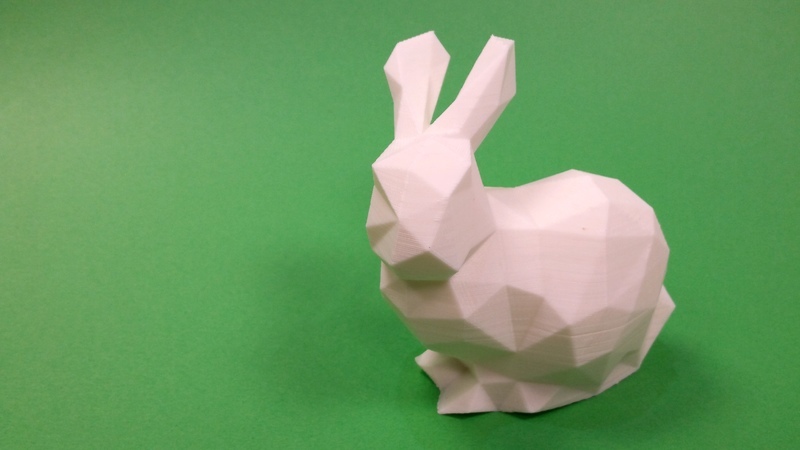 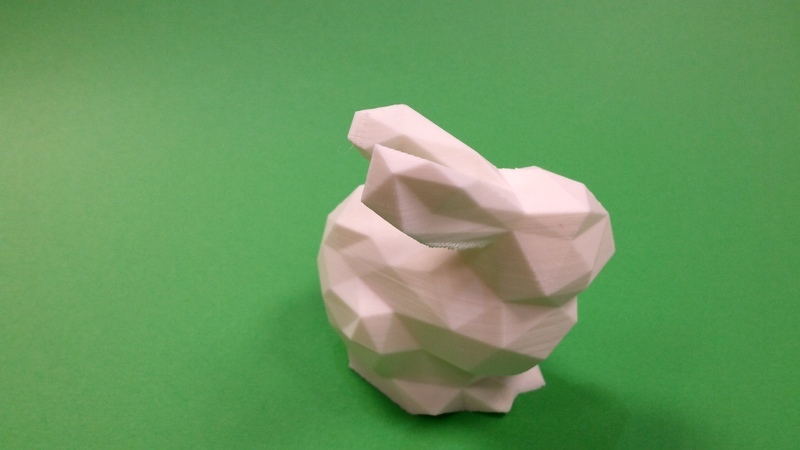 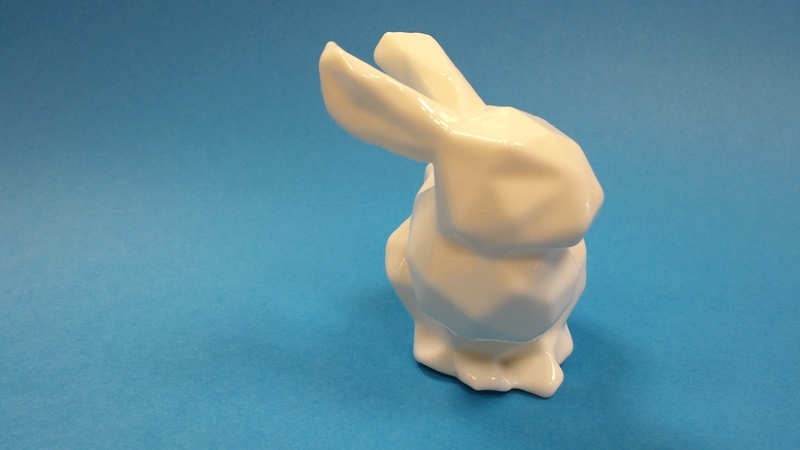 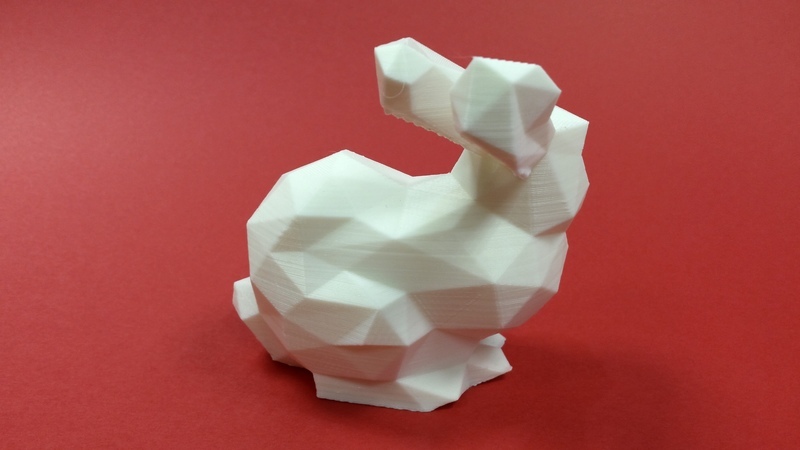 The Stanford bunny printed exceptionally well, even the ears did not drop too much underneath due to lack of support. 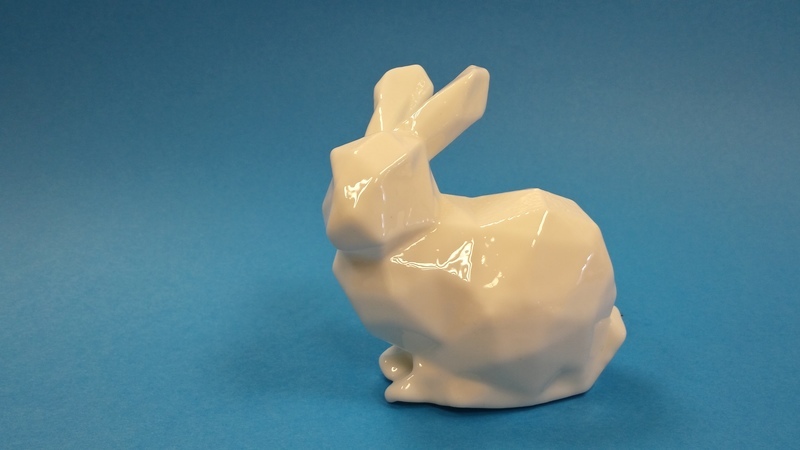 However, the bunny came in to it’s own when we treated it with acetone. 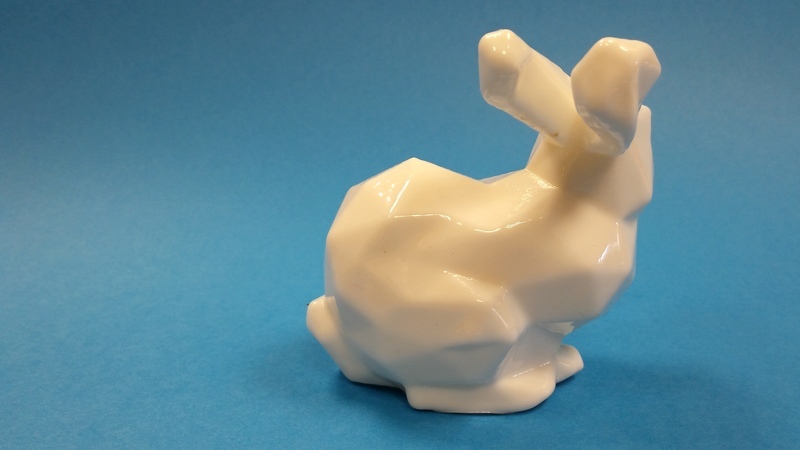 Since then, a number of people were convinced it was made from porcelain, until they picked up and felt the lack of weight!